Premium comb and wire binder, suitable for medium to heavy use in the office. The patented Flowline Pro system does all the thinking for you. From dividing the pages to centring the document and adjusting the settings. It completes each binding stage in a logical sequence. Also closes 21 loop wires. Includes margin depth adjuster plus 'simply click' for finger tip control of comb opening. Comes complete with starter kit and foot pedal (CWB406E only) for optional hands free punching. Fully featured comb and wire binder with high punch capacity. Punches up to 30 sheets. 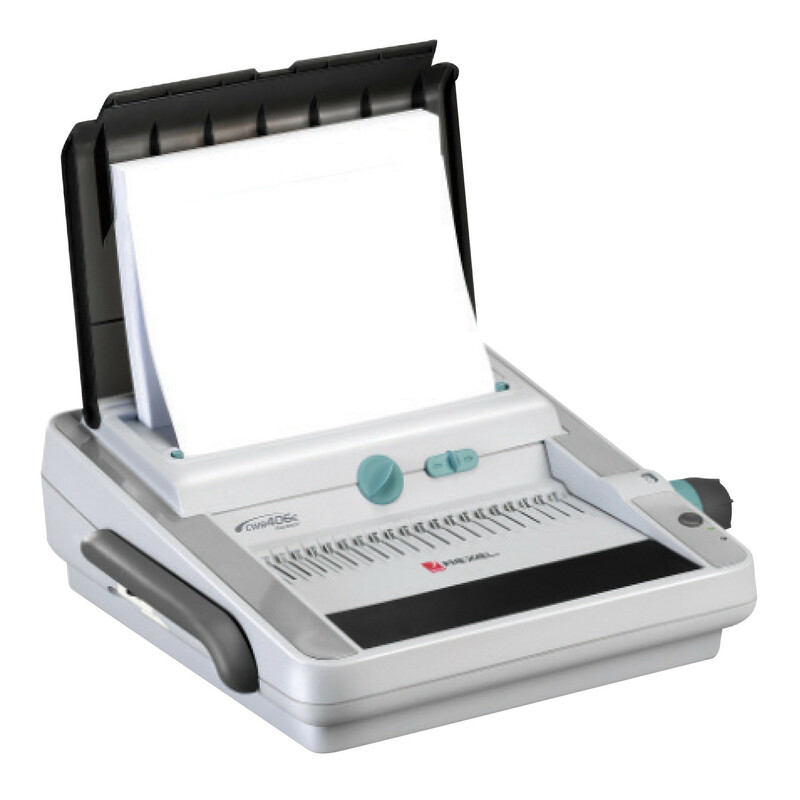 Binds documents up to 450 pages using up to 50mm combs and 140 pages using up to 14mm wires. Punches A4 and A5 paper.